Disclaimer: We use both companies. If you find our blog post useful, please use our affiliate link. LeadPages or Thrive Architect may pay us a commission. LeadPages and Thrive Architect (made by Thrive Themes) are both landing page builders. Sometimes they are referred to as squeeze pages. 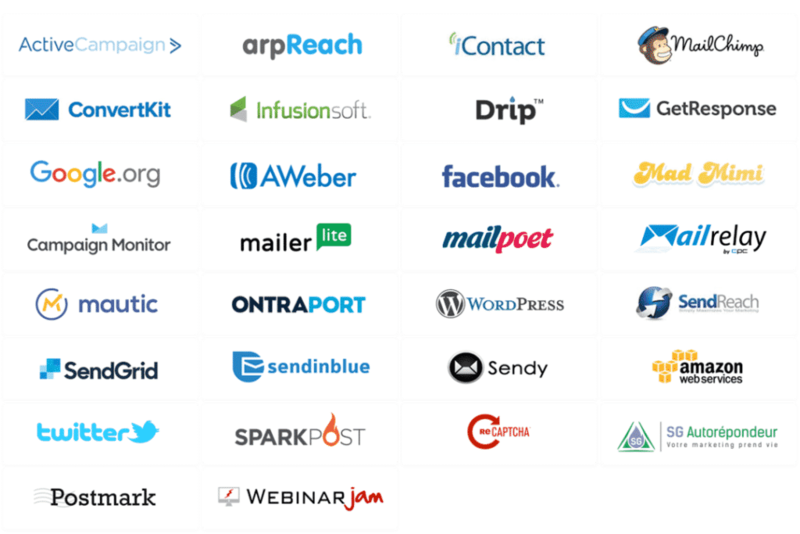 Basically, these companies help capture leads (name, email, phone number) or help sell a digital course. In this post, I’ll be showing you the similarities and key differences between LeadPages and Thrive Architect. Planet Marketing uses both companies to create landing pages for our clients and for ourselves. By the end of this blog post, you’ll know which company fits your needs. 1) What Do LeadPages and Thrive Architect Do and Should I Use It? 2) What Are The Key Differences? I have been marketing online since 2006. I have seen fads come and go. Today you’ll hear about “funnels”. Next year it may be something else. LeadPages is designed to get you “LEADS”, it’s right in the name! LOL. Thrive Architect also does similar things, but it’s a WordPress plugin so you can’t use it anywhere else, except on your website. Thrive Architect also doubles up as a WordPress Editor where you can use it instead of the Guttenburg editor. We wrote a full LeadPages Review and Thrive Architect Review if you’re interested. Notice with LeadPages that you can drag widgets from the left to the right. 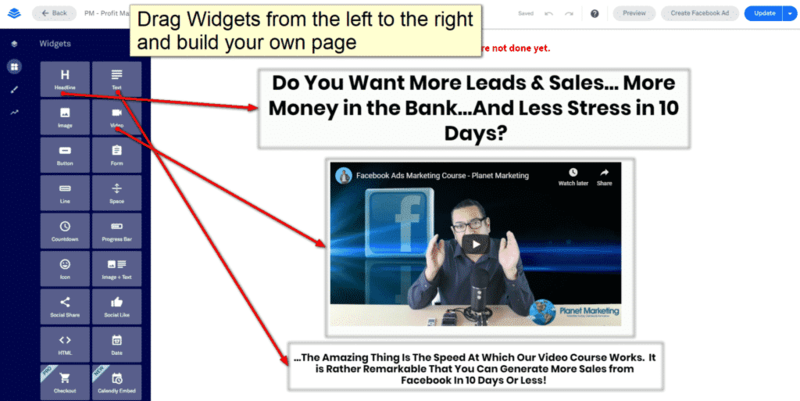 LeadPages calls these ‘widgets’ while Thrive Architect calls these ‘elements’. The power of using a lead page builder is that you don’t have to know HTML to create beautiful landings pages and check the desktop, tablet, and mobile versions. Our comparison table below will compare the key features. With Thrive Architect, the widget/elements are on the right. 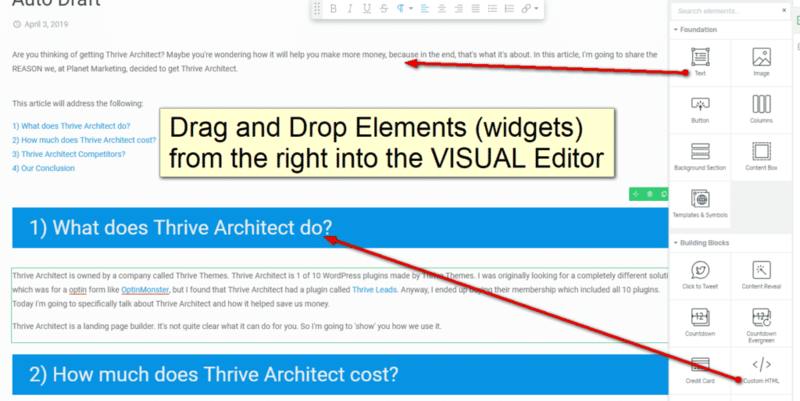 Notice that both Thrive Architect and LeadPages use the same things, like Text, Image, Video, Custom HTML, etc., widgets. As with LeadPages, you just click a button to see how your landing page renders on mobile, tablet, and desktop. When Should You Use a Landing Page Builder? As an internet marketer, we tend to use landing page builders like LeadPages, Thrive Architect, ClickFunnels, Instapage, etc., when we’re doing PROMOTIONS. Since LeadPages, ClickFunnels, & InstaPage are all independent from your own website, you should never use them to replace a website. I’ll be blunt about this. It would be STUPID of me to move Planet Marketing or any of our clients from WordPress to LeadPages. Thrive Leads lives within WordPress so I still have full access to my server and can do SEO. In other words, I have full control of my own site since Thrive Architect is just another plugin. If you use LeadPages, you are limited to whatever their interface allows. Sure there are integrations, but there can be many limitations too. 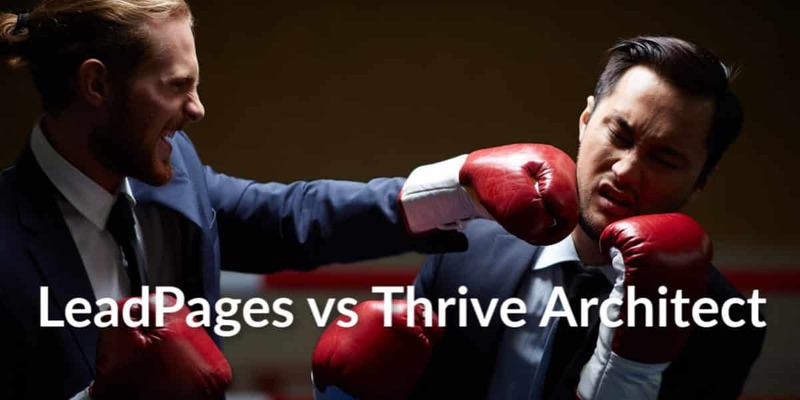 The main differences that we see between LeadPages and Thrive Leads are hosting. As a web developer, I don’t need either company because I can build landing pages using HTML. If you’re using LeadPages, you are mainly paying an extra monthly cost for hosting. 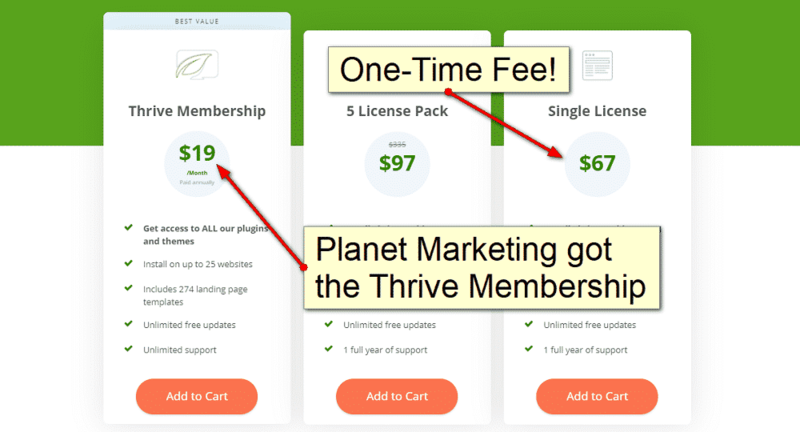 If you’re using Thrive Architect, you won’t be paying for a monthly subscription because you pay for the WordPress plugin one-time! You’re gonna LOVE the comparison table below and our conclusion! LeadPages has more integrations with 3rd party companies. That’s cool if you’re using it for more than just getting leads; like integrating with Shopify, phone dialing systems, setting webinars, etc. Each company has many features, but we are only listing the main ones here. Below this table are extra features from Thrive Architect that will blow your socks off. Facebook & Instagram Ad Builder ✓ No. But you can go directly to Facebook Ads Manager instead. Thrive Themes has many WordPress plugins. Thrive Architect is 1 of 9 plugins. I ended up buying the complete membership package because Thrive Themes has very useful money maker plugins. For instance, Planet Marketing builds its email list using an opt-in form called Thrive Leads. Did you see a popup when you scrolled down 40% of the page? If you try to leave the page before reaching the 40% mark, Thrive Leads will make one last ‘ditch effort’ to grab an email. How much do all these Thrive Themes plugin features cost? If you’re using LeadPages.net, you’re paying $25/mo at a minimum. Actually, it’s $300 upfront to get the $25/mo deal. If you’re using ClickFunnels, you’re paying $99/mo. That’s $1,188/yr. Instapage is even more expensive. Get ALL Thrive Themes Plugins for $228 ($19/mo x 12 months) one-time payment. It’s STILL cheaper than LeadPages $300 per year! Again, we use LeadPages AND Thrive Architect. We know both products very well. If you’re not using WordPress, you should get LeadPages. If you already have WordPress and you have a subscription to LeadPages, you should probably cancel it and get the Thrive Membership and get all the tools. If you are tight on money, get the Thrive Architect plugin by itself for $67, you can always upgrade later. If you have any questions, comments or concerns about LeadPages vs Thrive Architect, let us know below.